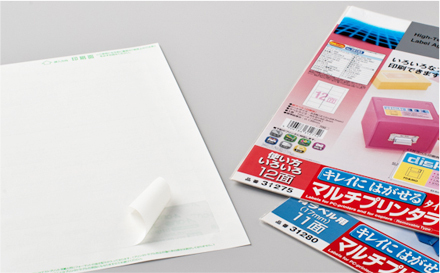 Sticker for various kinds of printer | Self-adhesive paper | Our Products | Oji Tac Co.,Ltd. PPC (Plain Paper Copy) paper is communication paper suited to Xerox and other electrophotographic copiers usable with ordinary paper. As well as offering good toner fixation and excellent printability, its face stock is compatible with laser and inkjet printing systems. We have also paid careful attention when selecting adhesives that will not contaminate the inside of the copier and not cause jammimg problem.